USA Today has released a new image from this November's Justice League film. Here we have a great look at the entire team, Batman, Wonder Woman, Cyborg, The Flash, and Aquaman standing together, all except Superman of course who we know is in the film but probably in the later half of the movie since he hasn't exactly returned from the "dead" yet. Justice League arrives in theaters November 17, 2017 and is directed by Zach Snyder. Star Wars Rebels returns this Saturday on Disney XD and the second half of season 3 looks to be loaded with good stuff as Ezra, Kanan, Hera, Sabine, Chopper, and Zeb continue the good fight. The Rebellion continues as the crew is joined by Saw Gerrera fresh from his appearance in Rogue One: A Star Wars Story but that’s not all. 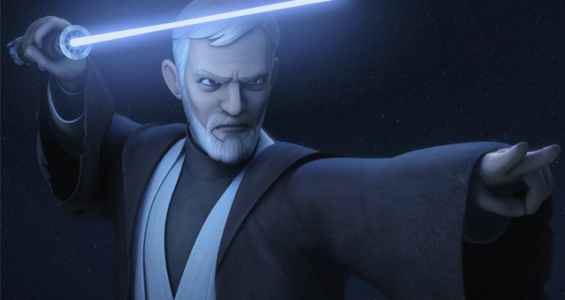 An old friend of the Rebellion is back as Obi-Wan Kenobi is set to appear. Star Wars Rebels Season 3 continues January 7th on Disney XD. The first trailer for Ridley Scott’s Alien: Covenant has arrived and it’s magnificent. It is an R-Rated trailer so you have been warned. Scott seems to be taking the franchise back to the horror of the original Alien film and looks to bridge the gap between Prometheus and 1979’s Alien. We will find out when Alien: Covenant bursts into theaters this May.